The Beeld Holiday Show is known as the “launchpad for leading manufacturers in the caravan and camping industry” – and this has never been more true than 2018. 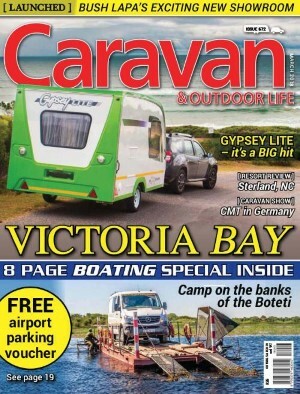 Caravan & Outdoor Life popped in at the show in Gallagher Hall in Midrand (23-25 February) to get a first-hand look at some of the new caravans, trailers and motorhomes on the market. This year, a total of over 30 new caravan and camping products were introduced to South Africa. Here’s a quick look at some of the interesting products we saw. What do you think of the new products? Leave your comment at the bottom of the page! For more information and pictures, make sure you get the April edition of Caravan & Outdoor Life.